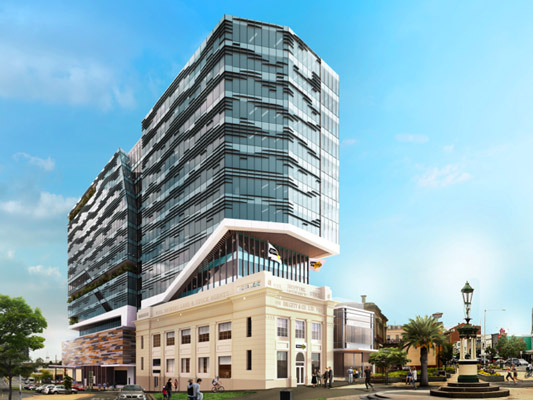 Artist’s impression of the WorkSafe development at 1 Malop Street, Geelong. Geelong is transforming from a manufacturing hub to a centre of development setting the Australian benchmark for health and wellbeing in commercial buildings. A range of new developments in Victoria’s second largest city is aspiring to the WELL Building Standard, an international evidence-based system for measuring, certifying and monitoring the performance of building features that impact on health and wellbeing. 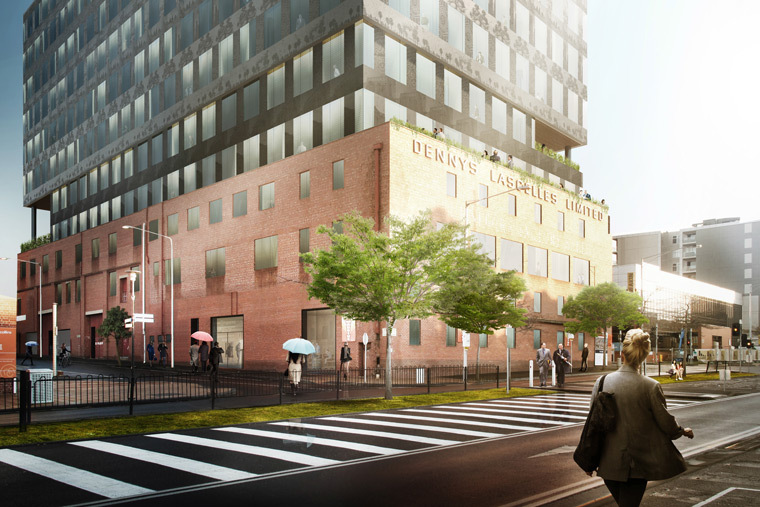 These include Grocon’s speculative 11-storey project at 20 Brougham Street, Quintessential Equity’s 14-storey WorkSafe development at 1 Malop Street, plus Quintessential’s eight-storey building proposal for the National Disability Insurance Agency headquarters at 44 Ryrie Street. Grocon’s head of culture and innovation David Waldren says sustainable building has become par for the course. Six star is now becoming the norm and the benchmark keeps lifting. Grocon’s Geelong development will provide 22,000 square metres of office space with superior lighting and air filtering systems. Quintessential Equity development director Guy French-Wright said the group decided to go down the WELL route for both Geelong buildings to achieve “best in class” beyond its planned 6 Star Green Star and 5 Star NABERS ratings. “The International WELL Building Institute’s mission is to improve human health and wellbeing through the built environment and to me that is what we are all about in creating these buildings,” he said. “We are all about looking at factors in buildings that do improve the occupant health and wellbeing story and that is probably where WELL distinguishes itself from [Green Star] or from LEED – they work with them, they are not a substitute and they focus on things that are slightly different. An artist’s impression of 20 Brougham Street in Geelong. The WELL Building Standard measures seven factors that impact occupant health in a building. These include air, water, nourishment, light, fitness, comfort and mind. There are two parts to the standard – one for the building shell and another for the tenancy. Buildings are rated as platinum, gold or silver. Quintessential will be chasing a silver rating for both the Malop and Ryrie Street developments. Like any new initiative, such as Green Star in its early days, there will be teething problems. The International WELL Building Institute is based in the US and at present there are no WELL-accredited professionals on the ground in Australia. In addition, some of the standards are not particularly relevant for our conditions. Along with input from consultants Aurecon on Malop Street, the company will send feedback on the standard, he said. Mr French-Wright said it was not easy to comment on the difficulty of achieving a WELL rating as both projects were still in their infancy. However, the new standard doesn’t appear so far to have created any cost impost on the the design component. Mr French-Wright noted that the Green Building Council of Australia had embraced the arrival of WELL. Geelong’s seven-storey TAC building at 60 Broughham Street is a purpose-built 5 Star Green Star development with a 4.5 Star NABERS rating, which was completed in December 2008. It achieved enhanced indoor environmental quality including daylight access, glare reduction and improved air quality while not sacrificing energy efficiency. However, a TAC spokesman said attaining the WELL Building Standard was not something the organisation was in the process of doing currently.